This unique & spacious garden apartment offers open-plan living leading out onto a large terrace overlooking the Canal. Main bedroom and double bathroom with shower, bath & double vanities. Secure covered parking bay and a storeroom. Sought-after block! The V&A Waterfront's long-term plan is to build their own additional sea water desalination plant, over above that being built by the City. This will take the precinct virtually off the City of Cape Town's municipal water supply. The build process has been accelerated and the aim is to be producing potable water by next year (2019). Own prime property on the water's edge with a unique lifestyle which is both relaxed and cosmopolitan. This secure estate consists of 500 dwelling units with over 200 boat moorings found in the heart of the V & A Waterfront. 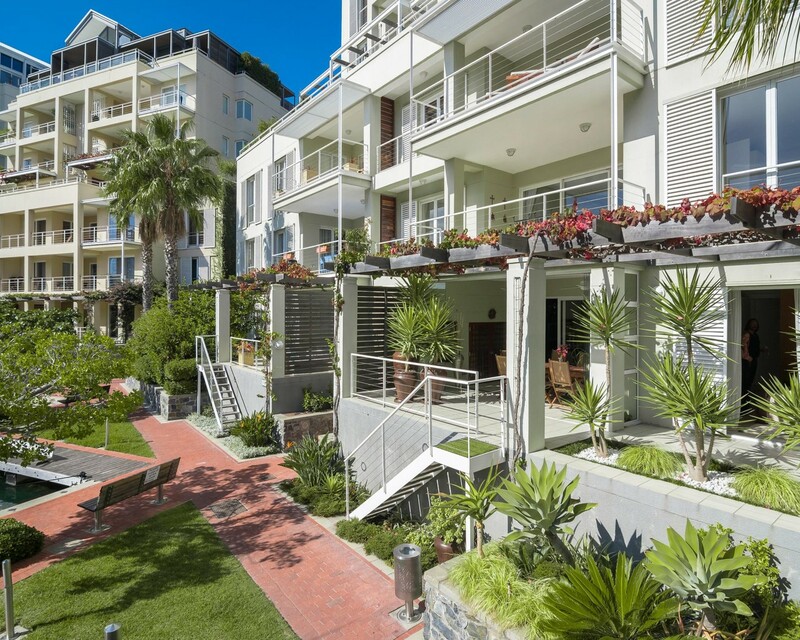 Nestled between the prestigious Cape Grace and One and Only the estate offers convenience and ease of living due to its close proximity to hotels, restaurants and shops. Located near the N2 highway for quick and easy access to the airport and suburbs and has the luxury of all the conveniences right at your finger tips. State-of-the-art security is a major feature of the development with full perimeter security, electric fencing, CCTV, access control at all security entrances and video monitoring from your apartment and lobbies.